It is my great pleasure to welcome you to the website of the National Oil and Gas Authority (NOGA) in its new fifth edition, which has been developed in line with the latest technologies to provide an advanced platform for communication and interaction with strategic partners, individual stakeholders and investors in the oil and gas sector. I would like to take this opportunity to express my thanks, appreciation and gratitude to the Kingdom’s wise leadership for appointing me as Minister of Oil under Royal Decree No. (45) for the year 2016, and for their gracious support for the vital oil and gas sector, and its advancement in the Kingdom of Bahrain. Keeping up with the technological developments is considered one of the most important strategic objectives of NOGA. It aims at providing the website visitors with multiple services and relevant information on the oil sector in the Kingdom of Bahrain, and the activities and projects of oil companies operating under NOGA’s umbrella. 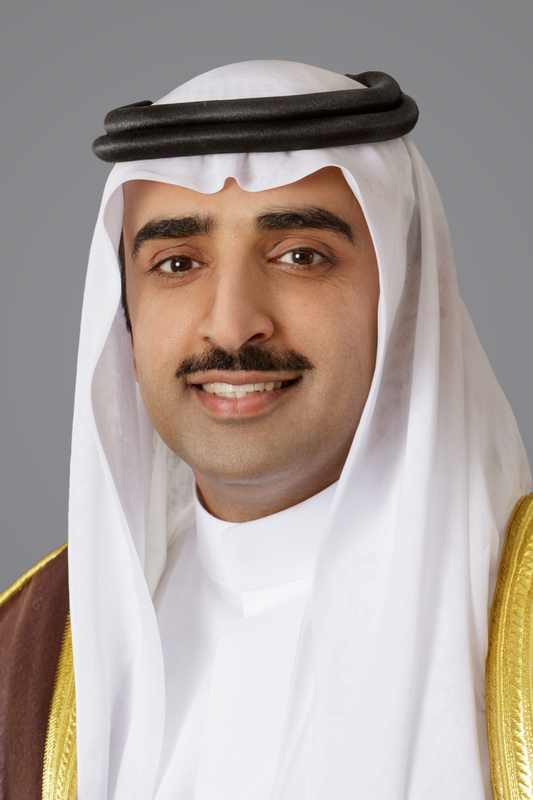 The website also provides an opportunity to review NOGA’s most important publications, news, and activities, as well as the agenda and programs of local events and services provided in the areas of licensing, inspection and other activities that promote the reputation and position of the Kingdom of Bahrain. NOGA was incorporated in September 2005, pursuant to Royal Decree No. (63) for the year 2005 to assume all matters related to oil and gas in the Kingdom of Bahrain with the aim of protecting the Kingdom’s oil and natural gas resources, and finding alternatives, ensuring the optimal utilization of these resources and achieving the most returns. NOGA has undertaken several initiatives to increase oil revenues in the Kingdom of Bahrain through development of the oil industry, boosting energy conservation, engaging in renewable energy projects, and concluding relevant agreements with major international oil companies while encouraging Bahrainization and complying with international health, safety and environment standards. Several achievements have been made with the grace of God in the first place, and then the support of the Kingdom’s wise leadership, and their continuous care for this vital sector, which is the main tributary of the national economy. The efforts of NOGA officials and all its employees and workers are obvious and tangible, and had a key role in realizing these achievements. May God help us all make further contributions in pursuit of the ambitious goals to advance the economy of our dear country under the auspices of its wise and sincere leadership.